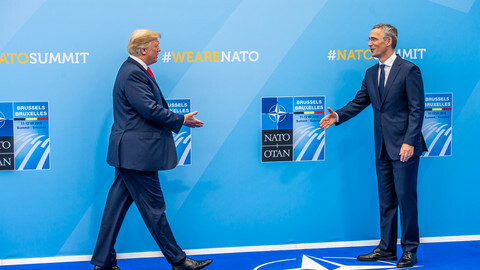 US leader Donald Trump has come to the UK during a Brexit crisis, after going through a two-day Nato summit in Brussels like a bull in a china shop. He will be treated to two days of British pomp, including a royal audience, as well as facing down protests. 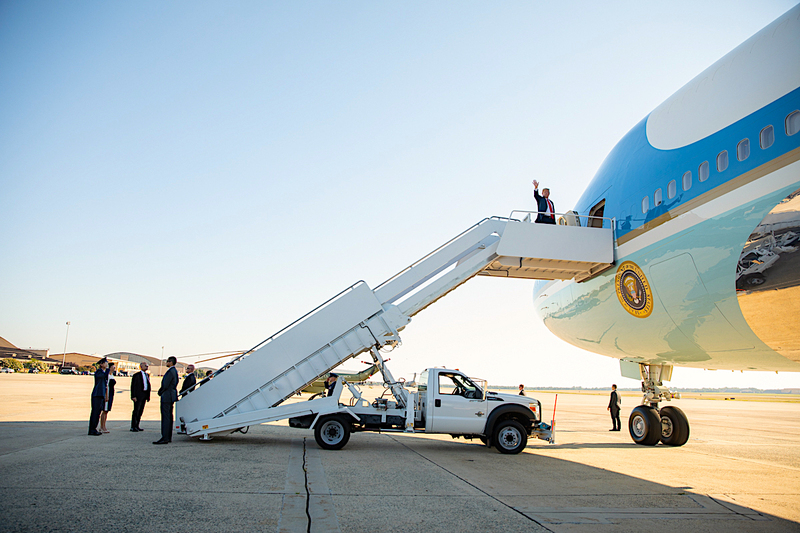 His visit coincides with "a pretty hot spot, with many resignations," he noted before take-off from Brussels for London on Thursday, referring to the political crisis over the Brexit white paper. Trump's "friend", British foreign minister Boris Johnson, this week resigned over UK plans to keep close EU trade ties, as did the Brexit secretary, David Davis, on Monday. The rebellion could topple prime minister Theresa May and see the UK crash out of the EU with no deal next year. But Trump was happy to amplify the rebel Conservatives' gripes despite the sensitivity of the situation. "The people voted to break it up, so I imagine that is what they would do, but maybe they [May's plans] are taking a different route. I'm not sure that's what they voted for," Trump said on Thursday. 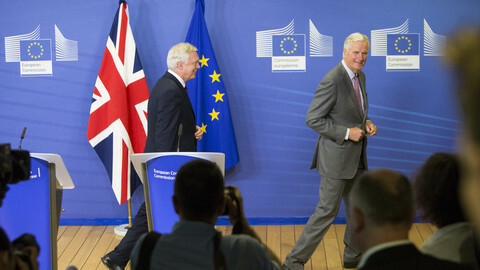 The UK was "getting at least partially involved back with the European Union," he added. He also positioned himself as a popular authority on the subject. "They like me a lot in the UK. I think they agree with me on immigration. I think that's why Brexit happened," he said. 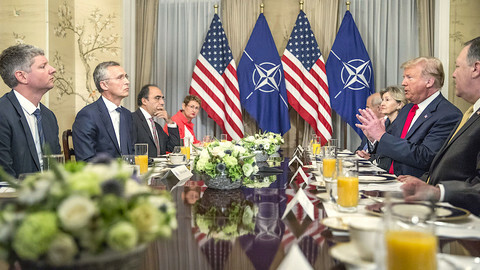 Trump spoke after leaving behind a fog of confusion at a Nato summit in Brussels on Wednesday and Thursday. He claimed that he had forced allies to commit to billions extra in defence spending over and above a previous target of two percent of GDP. But France and Germany indicated that nothing had really moved on that front. "Everyone agreed to raise spending as they agreed in 2014, and everyone agreed to respect the [previous] commitments they made," French president Emmanuel Macron said. 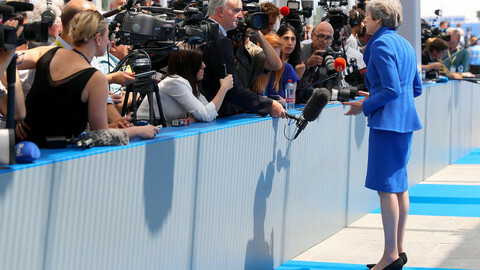 "I think we need to ask ourselves consistently what more we can do," was all that Merkel said. Trump also publicly speculated whether he could take the US out of Nato without Congressional approval if allies did not spend more. "I think I probably can," he said. 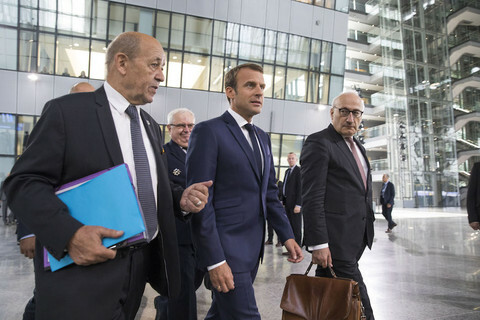 But his veiled threats that the US might "go it alone" were vague enough to be ignored, Macron also said. "At no point did president Trump, neither in bilateral meetings nor in multilateral ones, say he would pull out of Nato," Macron said. "At least not when I was there. He didn't say that to me," the French leader added. Trump spoke to press on Thursday at an impromptu press briefing, the last of several protocol violations at the summit. He had earlier used personal language, referring to the German chancellor as "you, Angela". 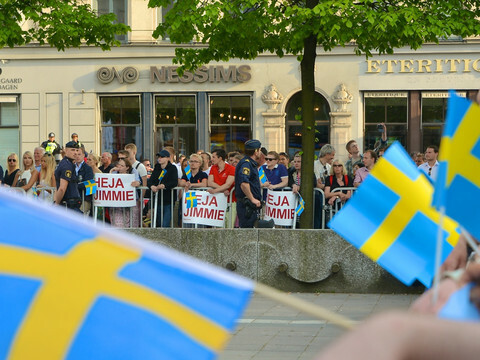 At one point, Nato officials called a brief emergency session to calm things down. He also turned up late, missing bilateral appointments, and fired tweets at Merkel late into the night on Wednesday. Macron said Trump was less abrasive in private than in public. "I read the 140-character messages [Trump's tweets]. The debates took a different tone. They were frank, but there was no finger-pointing or lack of respect," the French president said. That observation was born out in Trump's comments on Crimea before he meets Russian leader Vladimir Putin next week. 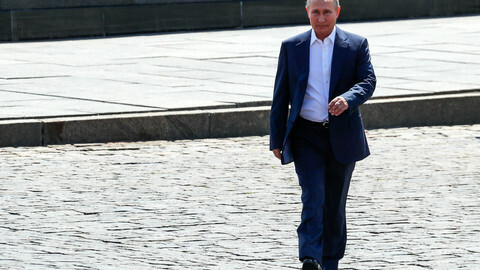 He told press they would have to wait and see if he recognised Russia's annexation of the territory from Ukraine, but he also signed up, one day earlier, to a Nato declaration on non-recognition of Russia's "illegal" move. He joked that he was a "very stable genius" on Thursday when asked if his signature was still valid. For her part, Merkel stayed cool despite Trump's provocations. "We had an opportunity to have an exchange about economic developments, on issues such as migration, and also the future of our trade relations," she said, after a tete-a-tete on Trump's anti-EU trade war. "We're partners, we're good partners, and we wish to continue to cooperate in the future," she added. The chancellor noted that his way of doing business was tiring all the same, however. "We had a very intense summit," Merkel said. Trump hoped to befriend Putin at a showcase summit in Helsinki, following US president's attacks on Nato and British leaders this week. 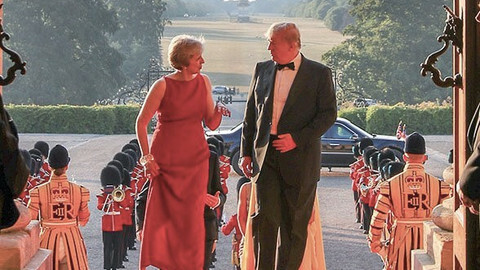 On his first official visit to the UK, US president Donald Trump tosses out plans for a bilateral trade deal based on Theresa May's Brexit blueprint.